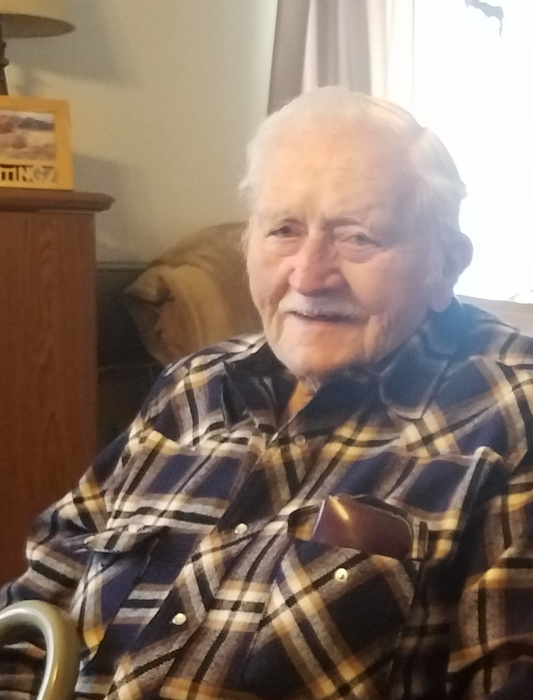 Stuart James “Stu” Dunlap, Jr., age 87, of Livingston, Montana passed away on Saturday, March 30, 2019. A memorial funeral service will be held 1:00 P.M. on Saturday, April 6th, 2019 at Living Hope Church, 226 S 3rd St, Livingston. Join in desserts and refreshments with a reception to follow. Stu was born on March 15, 1932 in Billings, Montana to Stuart James, Sr. and Zeetta “Zee” (Smith) Dunlap. The family moved to Livingston when Stu was about five and they farmed south of town. Stu worked the farm with his parents and other jobs until taking employment with the Northern Pacific Railroad. On June 7th, 1952 Stu was married to the love of his life, Barbara Jean Whitney. They began their family with the birth of a daughter, Linda, then a son, Randy and another daughter, Sandy. Stu worked his entire career for the railroad holding different positions. For a while he was a traveling electrician. The family moved from Livingston to Glendive, to Forsyth, to Havre eventually settling back in Livingston. Stu retired from the Burlington Northern Railroad at age 55 with the position of Foreman. Following his retirement, he and Barbara did their best to enjoy themselves. They loved to camp throughout Park and surrounding counties. Stu enjoyed his hunting and fishing, bowling and nothing more than being with his family. He was a great dad and grandpa. Dad was a family man through and through, every one of us are going to miss him, but are so glad to of had all the time we did. He is survived by his wife of 66 years, Barb; his children: daughter, Linda Watson of Bozeman, son, Randy (Glenda) Dunlap of Livingston, and daughter, Sandy (Doug) Hoeme of Livingston; grandchildren, Michael Watson, Kevin (Heather) Watson, Cody Watson and his fiancée Heather, Jason Hoeme, Travis (Christina) Hoeme, Jeremy (Kate) Hoeme, Jacob Hoeme and his significant other Haleigh, Justin (Jessica) Dunlap, Casey (Rachel) Dunlap and Kelly Dunlap, step-grandchildren, Jeremiah, Christopher and Jessie Perkins; great-grandchildren, Zoey, Avery, Hailey, Brandon, Tanner, Kinley, Bailey, Kayetlynn, Easton, Gracie, Mason, Easton, Abigail and step-great grandchildren, Regan, Asher and Katie; brother, Don Dunlap of Livingston; sisters-in-law, Tanya Dunlap of Burlington, IA and Ornastene Sparks of Livingston. Several nieces, nephews, other relatives and dear friends. Stu was preceded in death by his parents, Stuart, Sr. and Zee; brother, Wesley Dunlap; twin siblings as babies; son-in-law, Allen “Ike” Watson; and sisters-in-law, Joanne Dunlap, Ruthie Bates, Ora Brooks; brothers-in-law John Whitney, Sam Whitney, Jack Bates and Jim Brooks.